Ten years of doing the business of hair, Yourells Hair Group now with three locations in Galway on Eyre Street, in Moycullen and in Oranmore are really only getting started! Yourells Hair Group is the brainchild of Carol Dixon and Anna Hosty, the west of Ireland Hair Group employs 40 people and were named the Best Hair Salon in Ireland in 2016. Yourells Hair Group mantra is fabulous hair all of the time achieving this through their precision cuts and specialising in bespoke colour. A Yourells cut and colour is noticeable because the shape of that cut will hold and can be managed at home easily. Through their face structure and skin tone matching, a Yourells colour will always complement and enhance their clients features. A business built on consistent service, Yourells Hair Group business models is built on systems and processes. Carol takes the reign and the lead here. “I want people to always know what they are getting. I want them to have confidence in their recommendation to others. Systems and processes of how a business runs are the details that every successful business will work off. With this in place at all locations you always know what you are going to get. A professional service but with a warmth that is really nurtured through all our staff, “explained Carol. Since the beginning, Yourells Hair Group lead by Carol and Anna has set themselves up with a strong foundation to be able to weather the storms. This partnership simply didn’t allow their business to be reliant on any one person including each of their own roles within the business structure. “Your business needs to be able to work without you,” said Anna. The business of hair and beauty is a multimillion-euro industry in Ireland, Yourells Hair Group are based in Galway and yet 30% of their business comes from around Ireland. “We have people travelling to us at all our locations because as we all know when you find your hairdressers, colourist or stylist, you trust them and know that they get what you want whilst also being able to guide you in a direction that can really transform your entire appearance. The best thing about what we do is, making women feel good about themselves and watching our junior team progress through the ranks as they train, “Anna reveals. Ten years in a successful partnership and business is no easy feat, so just how has your partnership helped to expand the business over 10 years? “Our difference is our strength. We naturally challenge each other to think differently allowing us to be more innovative. We bring different skills to the table giving the business a good balance. We are there to give each other a gentle nudge to be the best we can be and keep each other motivated. The passion and hunger to keep standards high, a drive for expanding and of course upskilling is the backbone of Yourells success? Would you agree? “Being in business can be a challenge but it’s that challenge that keeps you progressing. We are both so passionate about our business. We believe in our message and our brand. It’s our baby. Training, up skilling and progression is the back bone of Yourells. It’s so important it’s what keeps you ahead of the game. Our industry is fun and creative, training doesn’t feel like work. Bringing the younger girls up through the ranks and watching them grow and mature is a pleasure and privilege. Galway is a wonderful place to work in a creative environment. There is inspiration everywhere. People have their own style here and it’s so versatile and varied. 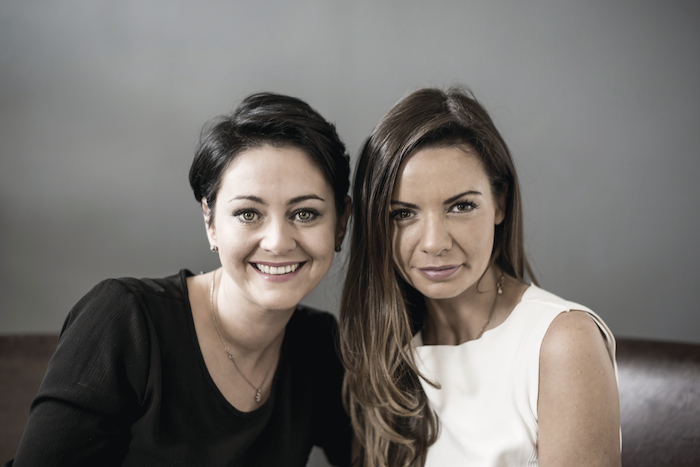 Behind Yourells Hair Group is two business women whose business has grown from one location to three, from employing 5 to 40 and winning the Best Hair Salon award in Ireland. On paper these are the stats but in reality, this business is built on a partnership and on mutual respect of each other’s strengths and of course weaknesses. “Like everyone we have our rows and we can at times drive each other nuts! We always row in the car! Carol has no sense of direction Anna has no map reading skills recipe for disaster. If you were starting all over again what would you change? This may sound like a line but it’s very true for us to say we would change nothing. Every experience we have had has brought us to where we are today. Ten years on, how has Yourells changed and has there been changes that you were surprised by and have actually helped to grow your business? “At the beginning we were both in the one salon all the time, we are now spread between the 3 salons and the office. It takes a different style of management. We’ve had to adapt as we’ve gone along. The business of Yourells Hair Group has been built on the friendship of Anna and Carol but how important is that relationship to the Yourells brand? “Our brand is our first born. We have grown and nurtured it over the years and it has matured into something we are very proud of.,” smiled the two and with that Anna was back cutting a client hair and Carol was taking junior trainees on a customer journey focus group at Yourells. For all things Yourells, get social with Facebook and Instagram, check out www.yourells.com or call 091-563545.